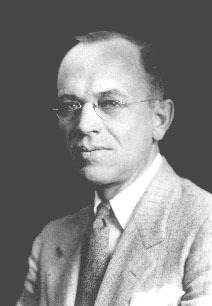 Considered a founding father of wildlife ecology, Aldo Leopold was fascinated from childhood by the natural world, and learned about the intricacies of natural systems through his own observations and field work, and his studies at Yale. He worked for the US Forest Service, where he proposed establishment of the Gila Wilderness Area in New Mexico in 1922, the first protected wilderness area within the national forest system. He later taught at the University of Wisconsin, where he developed the science and techniques for management and restoration of wildlife populations. His title was originally Professor of Game Management, but as his philosophy evolved the position was renamed Professor of Wildlife Management. His academic work crossed scientific disciplines including sustainable agriculture, wildlife biology, forestry, and zoology, and popularized the concept of a "land ethic," in which humans are part of a natural community, not merely the conqueror of the land. Leopold established programs in which Wisconsin farmers worked with graduate students to collect information and manage wild food growing areas, wild game cropping, windbreaks, and the study of numerous prairie species. He was a co-founder of the Wilderness Society in 1935, and in the same year he put his principles into action by purchasing a dilapidated 80-acre plot of land near Baraboo, Wisconsin, in an area that had been over-logged, burned by several major fires, and grazed so heavily by cattle that virtually no crop was considered feasible. With his wife and children, Leopold made the farm into a new kind of laboratory, where he developed methods for restoring health to this wounded land, eventually transforming the area into a thriving landscape of conifers, hardwoods, and open prairie. On 21 April 1948 Leopold suffered a fatal heart attack while fighting a grass fire near the farm. The following year his magnum opus, A Sand County Almanac, was published, and to date more than two million copies of the book have been sold, helping to inspire the environmental movement and form the foundation of ecology as a science.